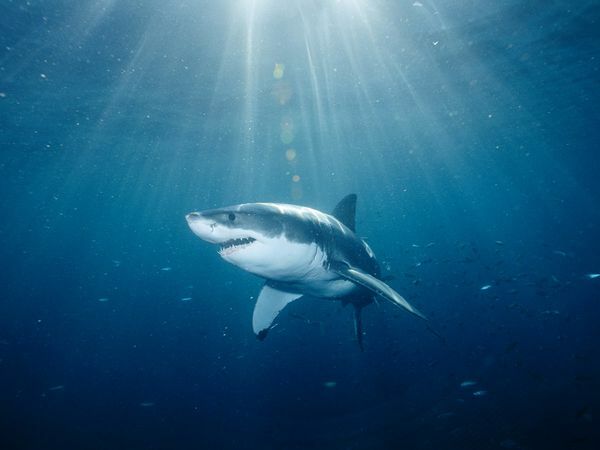 A great white shark nursery in the North Atlantic that was discovered in 1985 south of Cape Cod in the waters off Montauk, New York has received renewed attention due to the increased activity of white sharks off cape cod in recent years. The nursery was first documented in 1985 by Casey and Pratt who deduced the presence of a nursery based on the number of juvenile sightings and landings in the area. This work was followed up recently by OCEARCH (an organization dedicated to generating scientific data related to tracking/telemetry and biological studies of keystone marine species such as great white sharks), which tagged and tracked nine infant great whites to the nursery, located a few miles off Montauk. 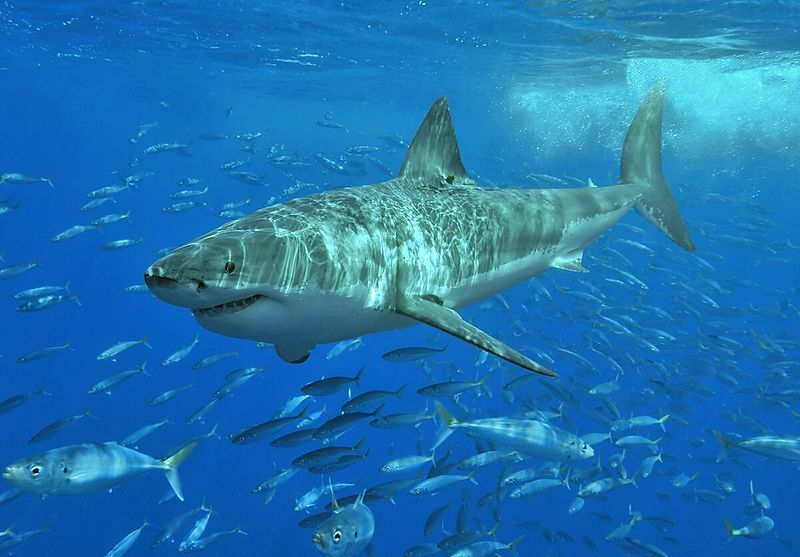 Great whites can live up to 70 years old and they can grow up to 25 feet long and weigh 5,000 pounds. Despite the fearsome reputation of these majestic creatures, shark attacks on humans are extremely rare — the odds are about one in 12 million. Most shark attack victims survive as bites on humans by sharks are normally exploratory or a case of mistaken identity. This discovery could lead to restrictions on human activity around the nursery in a conservation effort to protect the sharks. Globally 200,000 sharks are killed per day; by contrast, about 10 to 12 human lives are lost yearly as a result of shark attacks. You can learn more about shark conservation and track shark movements in real-time at the OCEARCH website! Article was amended to take into account the discovery of this nursery in 1985. …and right an article about the pioneers who really made this discovery. Michael, thanks your comment. The 1985 report was brought to my attention by a colleague immediately after publishing this article. By, “doesnt anyone read the literature anymore” statement, I think maybe you are assuming my field of science is sharks (or large pelagic fish). It is not. I study worms. As a result I am not abreast of literature about white sharks from 1985. But that is why as a collective community we are able to utilize the disparate knowledge of everyone to ensure that information is presented correctly. Again, thanks for your feedback. Whether you are writing for an academic journal or a popular publication, there is a responsibility to be factually correct. That means doing the academic or journalistic homework yourself or having someone with the right expertise review the article prior to publication. “Cut and paste” journalism is becoming a big problem in the internet era. Nonetheless, I appreciate that you’ve corrected the mistake.